Heat pumps are one of the most popular systems for Longview homeowners because they provide efficient cooling and heating services, are eco-friendly and greatly reduce annual utility costs. While heat pumps are one of the best solutions for local homes, they still experience wear and tear from everyday use. 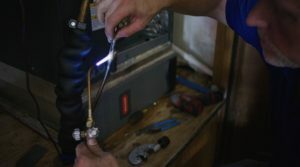 When your heat pump isn’t working properly, you can trust the Tyler and Longview heat pump repair experts at A/C Contractors to quickly and completely inspect your system, diagnose the issue and develop a comprehensive repair plan to restore the quality and dependable operations of your heat pump. Since heat pumps are responsible for both cooling and heating your home, it’s crucial to have your system working properly. The heat pump repair specialists at A/C Contractors can assist you with a wide variety of heat pump repair issues, quickly identifying the problem with your system and performing quality services with durable and dependable parts and hardware. So you’re never without proper heating and cooling for long, we even provide emergency 24-hour repair services. To keep your heat pump performing optimally, it’s ideal to schedule annual maintenance services. You can prolong the lifespan of your system, prevent inconvenient repairs and improve your overall energy efficiency. Many local Tyler homeowners rely on heat pumps for heating and cooling because of their convenience and eco-friendly qualities. Heat pumps work by adding or extracting heat in your home. During the summer months, the heat pump removes warm air from your home and transfers it outside. In the winter, the system reverses the process by drawing warm air from the ground and moving it inside. Having a heat pump as your primary heating and cooling system is safer than alternative systems, produces healthier indoor air quality with lower humidity, reduces harmful emission output and reduces your overall utility expenses. At A/C Contractors, we want to help your home become more efficient and save on energy costs, and that’s why we offer quality heat pump installation services. We’re the leading heat pump installation professionals throughout the Tyler area and will consult with you to find quality solutions that best suit your needs and budget from only top-rated, dependable brands like Amana. 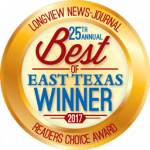 When you trust us for your heat pump installation, maintenance and repair services, you’ll receive reliable, convenient and affordable services throughout the Longview and Tyler, TX areas. For all of our heat pump services, we offer free installation and service estimates, flexible financing options and product and workmanship warranties for lasting peace of mind and guaranteed performance. Reach out to our heat pump installation and repair professionals today — schedule services by calling 866-427-7689 or request a free estimate by completing our online contact form.